As an expectant parent, you would do anything to protect your unborn child. That includes eating right, abstaining from alcohol, and taking care of yourself during pregnancy. It is also means taking the steps necessary to prevent your child from being injured during birth due to medical malpractice. Know About How Big Your Baby is Before You go Into Labor. Ultrasounds performed in the last weeks of pregnancy can give you and your health care providers valuable information about the estimated size of your child. Big babies who are born vaginally have a greater risk of shoulder dystocia which can increase their risks of cerebral palsy, erb’s palsy and other birth injuries. Know Your Baby’s Position When You go Into Labor. Babies who are in the breach position have a greater risk of getting stuck in the birth canal and being denied oxygen which can lead to neurological disabilities and lifelong difficulties. Insist on Being Carefully Monitored During Labor. 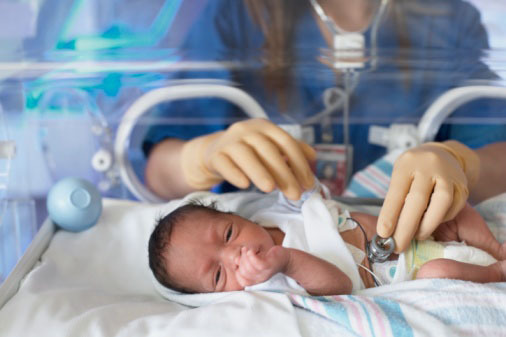 Careful monitoring of contractions and fetal heart rates during labor can indicate when a baby is in distress and needs immediate assistance to avoid a birth injury. Have Your Partner or an Advocate with You During Labor and Delivery. You may be in too much pain or under too much stress or medication to effectively advocate for what you believe is best for you and your baby. Make sure that you have a trusted advocate with you at all times to protect your child. Unfortunately, even if you follow the steps described above, you cannot always prevent medical negligence from harming your baby. If your doctor failed to exercise a reasonable degree of care during your pregnancy, labor or delivery and your child suffered a birth defect as a result then you may be entitled to damages. Contact a Pennsylvania medical malpractice lawyer for more information about your potential case.